Depressed about the news? These days, it’s hard not to be. But amidst all the tragedy and chaos, there are stories of hope. This is one of them. Recently, the winners of this year’s Gloria Barron Prize for Young Heroes were announced. The Barron Prize celebrates young people throughout North America who are making a real difference in their communities. This year’s winners come from a variety of backgrounds and have passions ranging from saving wild cheetahs in Africa to helping homeless children on the streets of Chicago. What they have in common is a desire to make the world a better place and the confidence that they don’t need to wait until they’re older to do so. So if you need a little inspiration, a reminder that there is hope for the future, check out what these 20 kids are doing to make a difference right now. When Floridian Joshua Williams was 5, his grandmother gave him $20 to spend on whatever he wanted. For most preschoolers, that money would have been spent on candy, a new toy or maybe a new video game. Joshua spent that money on his way home by giving it to a homeless man that he had seen from the car window. 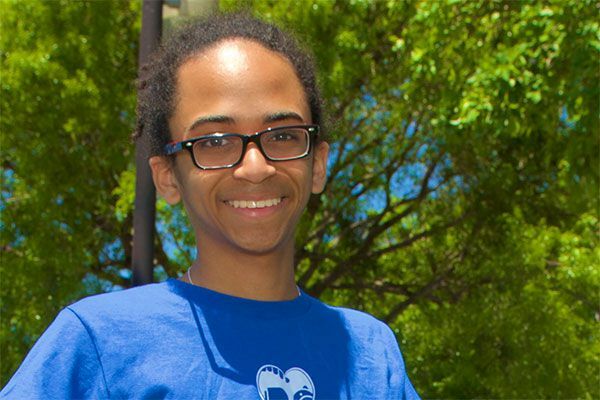 A few years later, Joshua founded Joshua’s Heart a nonprofit that has distributed more than 1.5 million pounds of food to over 350,000 individuals in South Florida, Jamaica, Africa, India and the Philippines.